Jeff Constable is a member of Spencer Stuart’s Financial Officer, Financial Services and Private Equity practices, with deep expertise in insurance, banking, consumer finance, fintech and family offices. Jeff has advised a diverse array of large cap, middle market and emerging growth clients in their searches for chief financial officers, board directors and other senior leaders. Beyond executive search, he has experience working closely with corporate boards, investment firms and family enterprises that are going through leadership transitions and succession planning processes within their organizations. Jeff has led client engagements throughout the U.S. and in Europe, for public companies as well as family- and investor-owned businesses. 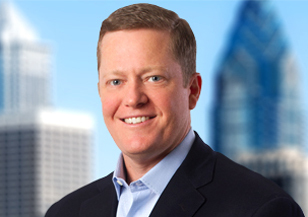 A consultant with Spencer Stuart since 2003, Jeff previously led the firm’s Philadelphia office for six years. He currently sits on Spencer Stuart’s audit committee. Jeff has worked with clients across the financial services industry. He has deep search experience but also advises clients on a range of talent and leadership issues, including succession planning, internal talent assessment and talent-culture alignment. Jeff is an active speaker and contributor to various industry and university forums related to key topics including the talent market, succession planning and board and governance trends. Before his career in executive search, Jeff worked at Corporate Executive Board (CEB), where he was instrumental in the formation and early growth of the company’s CFO network. Earlier, Jeff was a banker with Bank of America and an award-winning high school mathematics teacher. Jeff lives outside of Philadelphia and is the former chair of the board of the Bryn Mawr Rehab Hospital Foundation. He also serves on the advisory board of NewSpring Holdings, a middle-market private equity investment firm. Jeff holds a degree in mathematics from Duke University and an M.B.A. with distinction from the University of Michigan.